The environmentalist in me was glad to see the Keystone Pipeline not approved recently but I am conflicted when I see the use of trains like that pictured above recently just over the Howard County line in Sykesville. I counted over 75 of these train cars on this train. I could only image the impact on Sykesville if one of these cars caught fire. 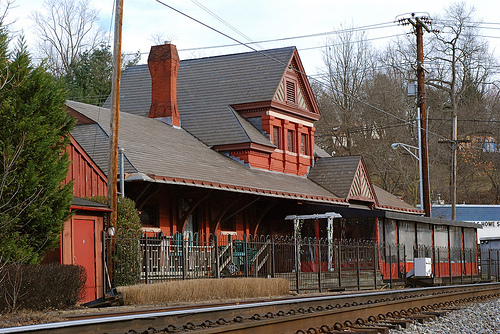 Goodbye to Baldwin Station restaurant and some of Main Street Sykesville. We have already seen this play out in one town. And it Will be a beautiful wall. While watching Diners, Drive-Ins' and Dives recently the show visited a restaurant called Funk'n Waffles in Syracuse NY that had a dish called the Jive Turkey shown above. It is made with stuffing waffle w/ smoked turkey, garlic mashed potatoes, cranberry sauce, gravy. 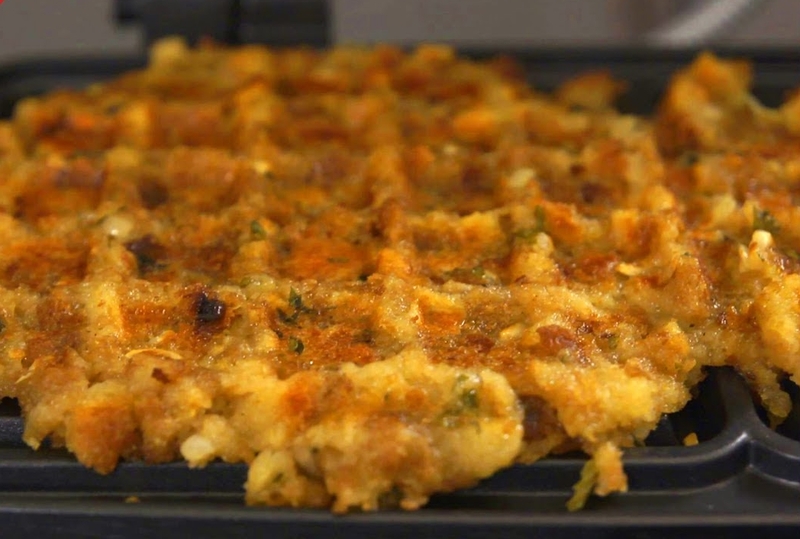 Never knew you could make a waffle out of stuffing? Guess what I will be making on Friday? Did you know that the TV dinners of our childhood came about because Swanson Foods misjudged how many turkeys they could sell in 1953. 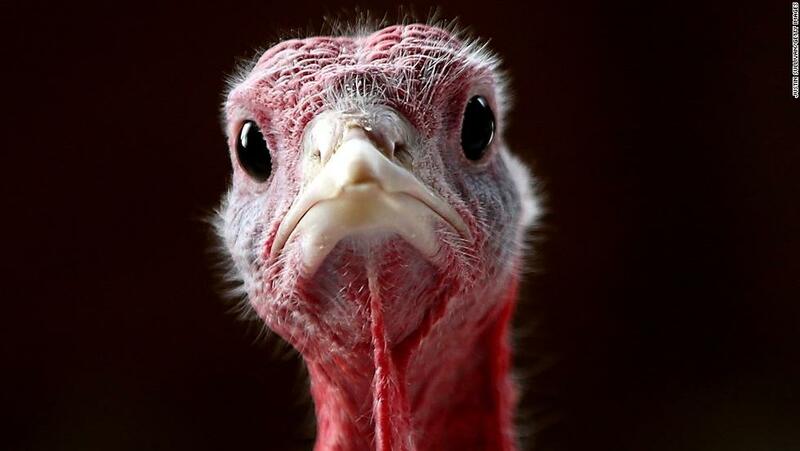 They used the extra turkey meat to create the first TV dinners and a new convenient meal product was created. 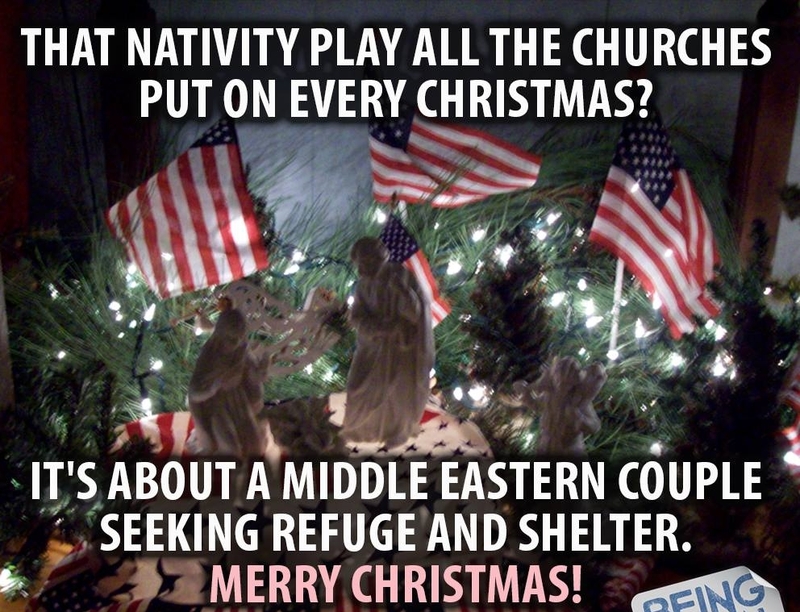 I guess it is a good thing that I have Facebook friends that cut across the political landscape but this past week I have found myself having to resist the urge to hide many of them because of their posts on the refugee resettlement issue. Never has it been so clear that we live in a very divided country when our politics and moral values seem so different. What causes that dividing line to be so stark? Below is just one example of what I mean. So when I saw this writing posted on Facebook I thought it captured my sentiment so well that I wanted to share it. There is no reason, not one single reason, why I deserve shelter, food, stability, safety, health, or your regard any more than any given Syrian refugee. Not one reason. My home, my education, my business; the way I look, the way I talk; the fact that I come home to a safe, whole, healthy family every day--every one of those things is a privilege that I fell into by the random circumstance of being born in this country to parents who valued academic achievement. I, or you, could have just as easily been born in Syria, or Burkina Faso, or Afghanistan. Do you really think that you're a different kind of human being than the refugees? Do you think your privilege is earned? I know: you've worked hard for what you have. I have, too. 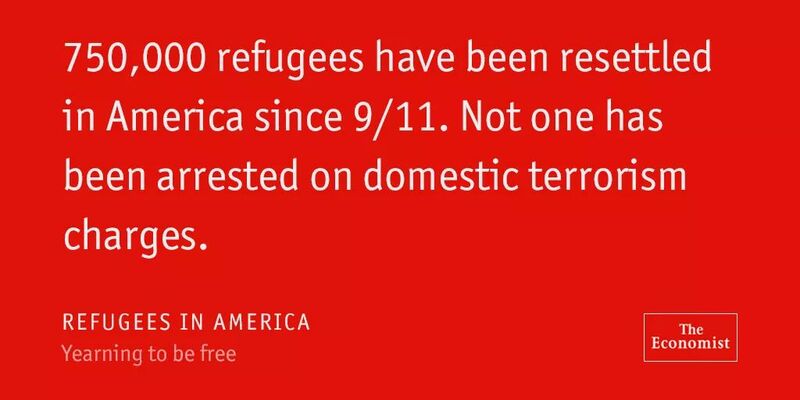 But have we worked harder than the refugees worked for the lives that were destroyed? Do we love our children more than they do; would we grieve harder if a civil war took them away from us? And how long do you believe it would take for a bomb to destroy everything safe about your life? Compared to most people in the world, you and I are rich with privilege, much of it just because we were lucky enough to be born in a country fat with it. I woke up early this morning and made organic, whole-grain muffins for my son, then dressed him in warm clothes, put sunscreen on his little face, strapped and buckled him into his bike seat and rode along peaceful streets to deliver him at his warm, nurturing preschool. There were so many levels on which I was able to protect him. Every breath of this morning was a privilege. Meanwhile millions of children who months ago had bedrooms and dinner tables and doctors and schools are sleeping directly on the ground, their parents unable to secure shelter or food for them, much less healthcare or education. And no, that is not your fault. But that's not the same as it not being our responsibility. 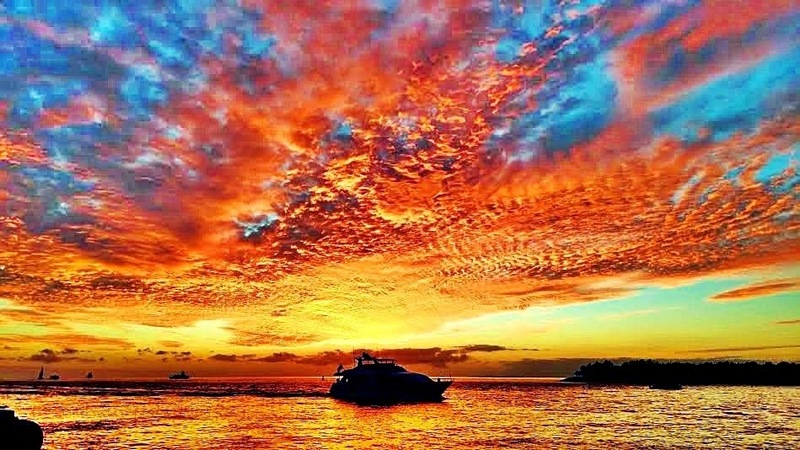 We have everything we need and then so much on top of that, and we can choose to exemplify to our own children one of two courses of action: we can open our clutched fists and share with our fellow humans all the abundance that exists here--or we can hoard it, greedy and bloated and fearful. These are families like yours. Thinking they might have connections to terrorist factions is as rational as thinking you might be a terrorist because Timothy McVeigh was American. 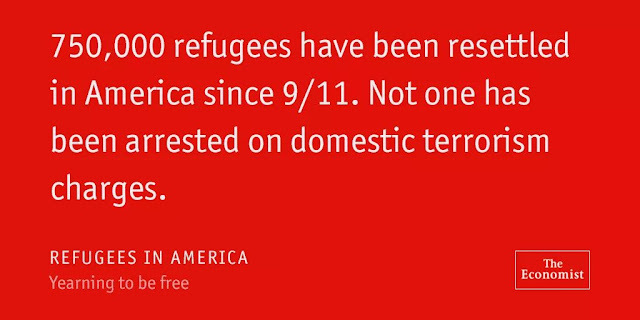 Half of the refugees are children. What is it in you that can close your eyes to other human beings, especially human beings that are small and hungry and cold? I'm not asking you to give half of everything you have to help them, or to turn your backyard into a tent city, or to donate to causes that support efforts to protect these very vulnerable people. I'm asking you not to hate them because they need something you have. I'm asking you to recognize that the fear being built around the refugees is less about American security and more about American greed. I'm asking you to be a human being that understands every human being has basic needs and that the lucky among us can afford to share our luck to ease suffering. I'm asking you to stop thinking, posting, politicizing around the idea that we just can't help before we've taken care of our own. Because there is no such thing as "our own." Every human is our own. Every hungry child, grieving mother, frightened husband, weary grandmother is our own. Nobody gets to pretend our world is a different world from the world that creates civil wars and bombs and hunger. We are all toeing this same precarious, shifting tightrope of a life. Anyone can fall at any time. All there is to catch us is each other." "Columbians will no longer have to travel across the Bay Bridge for a slice of the beach life. Grotto Pizza is coming to Minstrel Crossing on Snowden River Parkway, the Baltimore Business Journal reports. Known for its locations at Maryland and Delaware’s beach areas, Grotto Pizza opened in Anne Arundel County in the Village at Waugh Chapel in Gambrills last year. 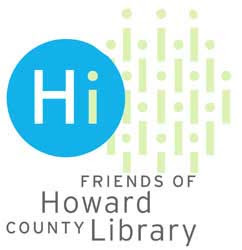 Success there reportedly played into the decision to expand into Howard County. Grotto Pizza in Columbia will open in early 2016, according to the Baltimore Business Journal." I know I just gained 10 pounds!! Grotto's is still number 1 for me in terms of pizza. 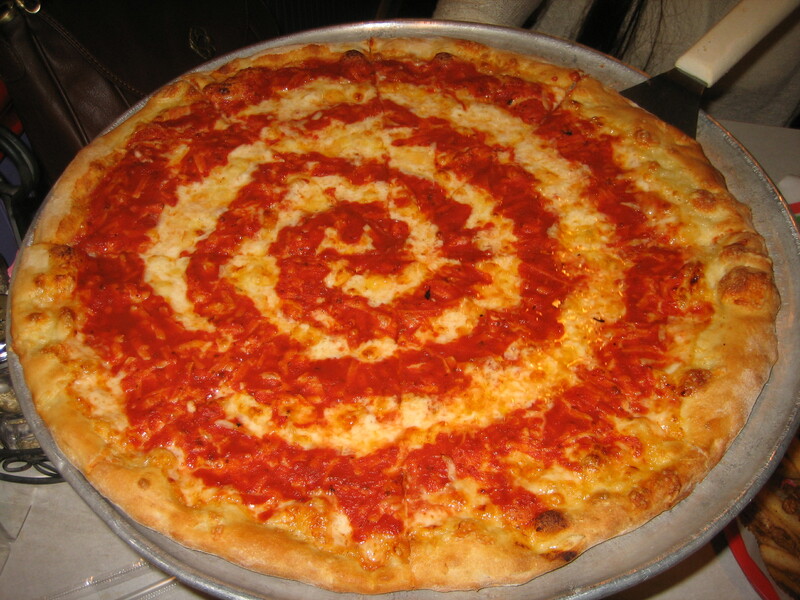 1) Grottos—Any one who has been to the Delaware Beaches knows how good this is. If you want to bring the cheese and sauce home with you one Grottos sells the sauce and cheese at Grottos at 22925 Sussex Highway Seaford, Delaware. Coming back from the beach on 404 turn left onto Rt 13 and go down about 4 or 5 miles. Today I would have to add Duetto's in Key West to the list. I am not sure exactly where on Minstrel Way they will be. In the 3 Brothers location? 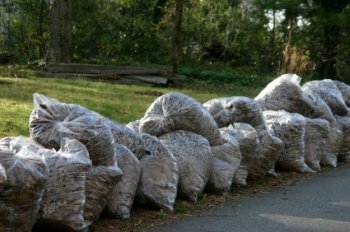 "Starting Monday, September 14, 2015 and continuing through the end of 2015, Howard County's Department of Public Works will phase out the collection of yard trim (leaves, grass and brush) from plastic bags. As you may be aware, collected yard trim is taken to compost and mulch facilities. At these locations, plastic bags foul machinery and reduce the quality of finished compost and mulch products. Small plastic fragments also become air- and water-borne litter. Due to these factors, regional processors, including the County's contracted yard trim processor, will no longer accept material in regular plastic bags. Depending on your collection route, the change may occur as early as September 14, 2015. Look up your transition day and keep an eye on your mailbox for a letter announcing the change in your neighborhood. As of January 1, 2016 every household receiving County provided yard trim collection will have made the transition to prohibit plastic bags. As the County phases in this new program, residents will be able to pickup paper bags from the Alpha Ridge Landfill (10 per family, per day, while supplies last)." 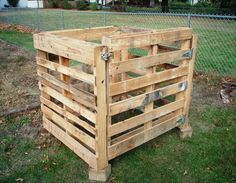 "FREE compost bins (while supplies last) are available at 6751 Columbia Gateway Drive, Suite 514 or Alpha Ridge Landfill at 2350 Marriottsville Road. Compost bins are made from 100% recycled plastic and are available to Howard County residents only." Better yet buy a few pieces of wood at a local lumber yard and build a sturdier one like pictured above. "Select the materials to be composted. 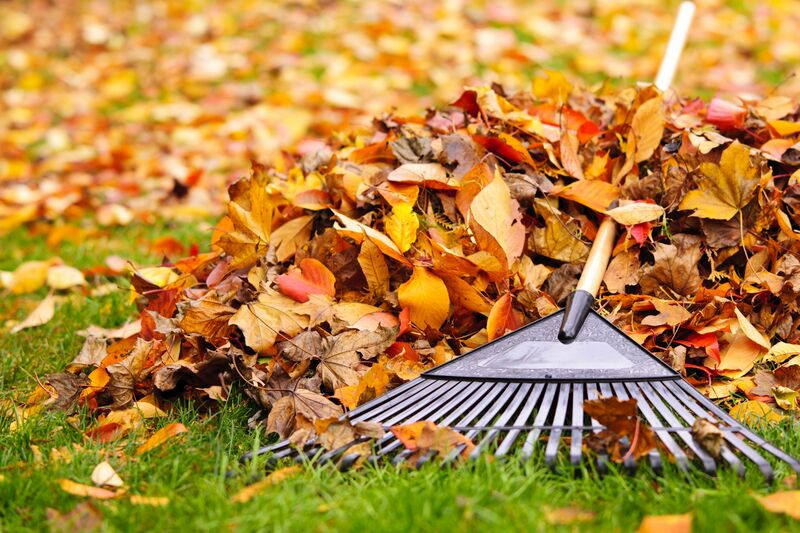 In general, leaves, grass clippings, brush and vegetable waste all work well. Shred or chop materials to accelerate composting. Mix layers of plant materials high in nitrogen with those high in carbon. As a rule of thumb, green materials such as grass clippings are higher in nitrogen and brown materials such as leaves are higher in carbon. By alternating layers of green and brown materials, nitrogen becomes more readily available for microbial action. When nitrogen rich plant materials are not available, spread about a cup of 10-10-10 fertilizer with each cubic yard of compressed plant material. Build your pile to maximum of 4 feet high by 4 feet wide. Piles higher or wider may lack the necessary oxygen to decompose quickly." "I don't think orphans under five are being, you know, should be admitted into the United States at this point. But you know, they have no family here. How are we going to care for these folks?" "Maryland Gov. Larry Hogan joined the list of nation’s governors on Tuesday who say they do not want to re-settle Syrian refugees. Hogan’s statement said he was requesting that federal authorities hold off on sending refugees from the Middle Eastern country until there are assurances that the refugees pose no security concerns." It was not surprising to hear of many Republican governors that they do not want any resettled Syrian refugees in their states. Mostly conservative Republican states. That is not surprising but we in Maryland should be more considerate of the plight of families who have had their country become a battlefield. We should all examine our moral conscience when we allow our fears to prevent us from reaching out to those in need. 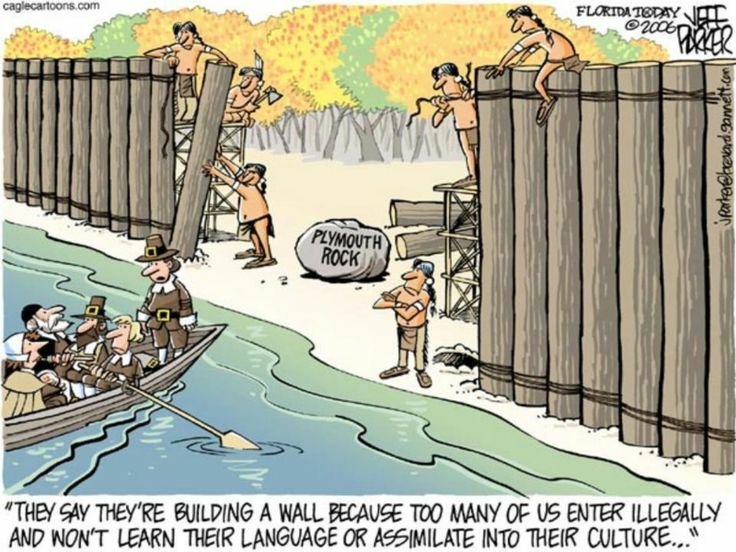 We all shake our heads at our callousness at a time in the past when the United States would not accept ships with Jewish refugees fleeing the Nazis but now are faced with the same moral choices and it seems our fears are making us as callous as before. Maryland moral compass shouldn't point right. Sheppard Smith is worth listening to. In our world today computer hackers maybe more powerful than military intervention. The cost of drugs is "too damn high!" Pardon my French today but I have a "bone to pick" with the manufacturers of drugs in America. Consumers in the United States are paying a disproportionate cost to manufacture drugs. Making this problem worse is the fact that the United States is one of only two countries that allows advertising of prescription drugs directly to consumers. If you watch any news program you will heard the line "talk to your doctor and see if _________ is right for you." If your doctor needs to have you recommend a drug to them maybe you need to find a better informed doctor. I would hope they know more about drugs than just me watching TV commercials. I have always been fortunate to have good prescription coverage so the cost of any prescribed drug I have taken has always been minimal. This is not the case when our vet prescribed an eye medication for our dog. $132 for a small vile of eye drops every 6 weeks seemed to be more than I wanted to pay. I searched on the internet and found a company in Canada that sold this drug for $28. The process of using this company took some work with new prescriptions and pre-payment into an account but the cost savings was worth it. The person at the company in Canada explained how they worked around the problem with Americans using their services by having the drugs legally shipped from a company in the state of Washington. The drug companies play the game on both sides of the political aisle to prevent importation of drugs from Canada. Even the Obama administration has compromised with the drug manufacturers to get their support for the Affordable Care legislation. While some Republicans like Sen. McCain have supported legislation to allow importation from Canada, Republicans in the Senate have been the ones to prevent legislation from passing in the Senate. Maybe it is time for Republican opponents of the Affordable Health Care program to stop blaming the rise in health care costs on that program and look at the rising cost of prescription drugs that maybe more the cause of the rising costs. Every Veterans Day the national parks are free of admission for one day. This past September I had a chance to visit some of the most popular parks. Above is the sunset at the Grand Canyon. This is something that should be on everyone's bucket list. We are fortunate to have the range of natural beauty in our Country. We can thank those who in the past had the forethought to recognize that this beauty was worth preserving. The waterfalls of Yellowstone are so numerous that they are still finding ones that were unknown until recently. The boiling springs of Yellowstone are a result of the heated underground water by volcanic energy. The grandeur of Zion National Park is something that a picture can't capture. Nowhere is the beauty of sandstone and limestone more evident then at Bryce Canyon. Finally Yosemite is one of the first national parks and has some of the most impressive views. 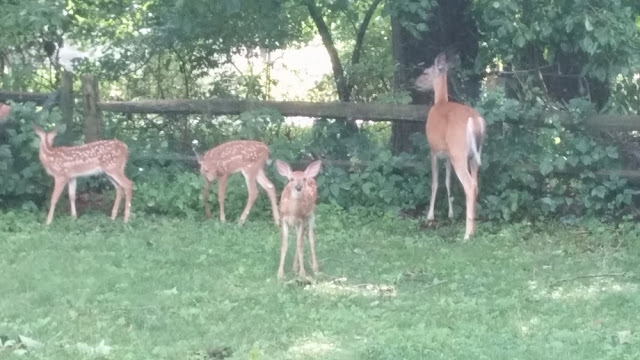 I hope that today's blog has encouraged you to explore our national parks and to not forget that while not as impressive we have some natural beauty in our very own neighborhood. Thanks to Harry Schwarz we learn of a national park in our area that we not have realized. Recently I sold my 12 year old car and bought a 2013 model. The frugal part of me results in only buying different cars after holding on to the old one for at least 12 years. What comes along with the newer models is the new technology. My old car had a CD player but nowhere to plug in my MP3 player. Now I realize that car manufacturers are even phasing out CD players the way they did with cassette players. So with my new car came a 123 page manual on the operation of the audio system. Remember when all you had to know about your audio system (i.e. radio) was how to turn it on and change the radio station? Now I have a port for my MP3 player, CD player, electrical plug in and a BlueTooth connection. This week has finally given me the new development of answering my phone through my car audio system from my steering wheel. OK, I know this technology has been around for a while but it has just caught up with me. I started randomly calling family members to tell them I was talking and listening to them through my car audio system. One big advantage is the quality of the sound for both of us. I have always had trouble hearing others on my phone on speaker because of the poor quality sound systems on most phones. This problem was even worse for the people on the other end. This caused me to turn off the speaker function which presents a problem when driving. As mentioned earlier most of the audio system functions are now on my steering wheel. I have tried learning how to operate this with the engine running in the driveway before trying it out driving but it will take some time to learn which arrow is for which function. I keep changing the channel when I just want to adjust the audio volume. I thought I was answering the phone when I actually hung up the caller. Maybe multi-tasking while driving is as dangerous as we hear in the news. And I haven't even mentioned dealing with navigation systems and surfing the web features in some cars these days. Maybe it is time for self driving cars so we can focus on all the other distractions that we have in our cars today. Now back to the audio system manual. I am up to page 63 and I haven't even started with the 183 page manual for the rest of the car! On almost every page in the manual is the warning about distracted driving being dangerous. I guess the litigation lawyers for the car manufacturers have been all over this manual. Now for a true political ad. Why do we view leaves are an enemy to be attached every Fall? This past weekend was one of listening to leave blowers and watching neighbors bagging up leaves. We all selected our lots because they were some of the few lots offered in Owen Brown that had large mature trees. We all knew that this would require some work each Fall for the nice shade we had each Summer. For suburban homeowners who value their green plush grass yards removal of leaves is one of those dreaded yearly tasks. But for someone who looks at grass as the enemy, leaves are a valuable way to restore the land to the condition it was before my house was built on land that once was forest-like. If you have followed this blog you already know my bias against grass lawns. So as an alternative to doing what many of our neighbors do, like pictured above, mulching the leaves a few times as the leaves fall is a better natural way to not kill your grass and provide so natural nutrients that is better than using the nitrogen fertilizers that harm our waterways. Most lawn mowers work fine ( mulching mowers are somewhat better and electric even better) for this if you don't wait until all the leaves have fallen down. I usually find that two or three times in the Fall works fine. I also don't need to buy all those large plastic leaf bags and expend more energy than I want to. 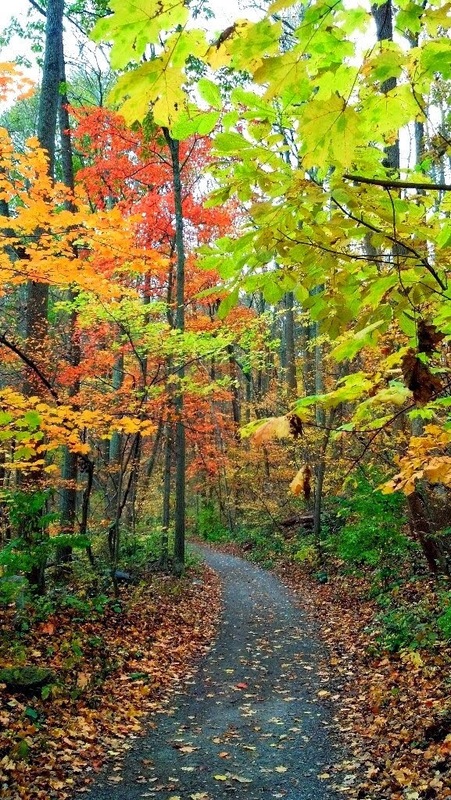 Fall is a good time to be good stewards of nature and the way it replenishes the earth's nutrients and not try to fight it. The Baltimore Sun has once again printed its reader's best of Howard County restaurants results. Howard County has such a wealth of good restaurants. The list reminds me that I have to go back to some old favorites that I haven't visited recently. Here is this year's list. Is your doctor making money from drug companies? With the recent news stories of how much markup some drug companies are making with important drugs to treat serious illnesses it is interesting to see if you own personal physician is part of that mark up. Ever notice those attractive young (usually female) professionals bearing lunch in your doctor's office? I have. No one dresses that well to see their doctor. Turns out they are probably a drug representative bearing gifts for your physician. John Oliver recently did a show on this and you can watch it here. After watching it you can check on how much drug companies have given to your own personal physician. Don't be surprised at what you find because almost every physician has been on this "gravy train." My Columbia physician took in over $150,000 last year from drug companies. You can be sure I will take his suggested drug choices with a "grain of salt". If you haven't been watching this Daily Show alumnus on HBO with his show "Last Week Tonight" you are missing some of the best social commentary out there now. This week's warm weather has made our seasonal change seem premature but from the turning leaves to the other signs of Autumn we know that our first frost and snow are just around the corner. Nature is telling us this by the shorter days and animal behaviors. For the next month deer will be everywhere as they fatten up for Winter and mating season moves into overdrive. This time of the year driving can be dangerous with dear crossing our roads. Ned Tillman has even shared a video he took of geese fighting for territory at Lake Elkhorn. Geese are migrating for the season. Lake Elkhorn is a frequent stop over for these geese. Somehow we are used to watching the local news and hearing about the crime and murders in Baltimore. It all seems like a different world than our little suburban Utopian planned community. So it makes it all too real to have armed robberies in the areas near where I live and walk. Having a gun pointed at me is not an experience I had ever imagined in Columbia. The increasing incidents of handguns being used in criminal activity is disconcerting. Last week I notice 9 new neighbors joined the NextDoor Elkhorn site that I host to share information on our neighborhood. This is certainly because of a forced home invasion on one of our streets last week. This has closely followed a few incidents of armed robberies around Lake Elkhorn recently. Not surprisingly much of this crime is directed at people involved in the drug scene. To quote Dorothy in the Wizard of Oz, " I've a feeling we're not in Kansas anymore." To join NextDoor for your neighborhood click here. Today is a celebration of one of America's favorite foods: the sandwich! It is no coincidence that November 3 is also the birthday of John Montagu, the fourth Earl of Sandwich. This 18th century English noble wanted to eat his meal with one hand during a 24-hour gambling event, so he instructed his servants to serve him his lunchmeat between two slices of bread. 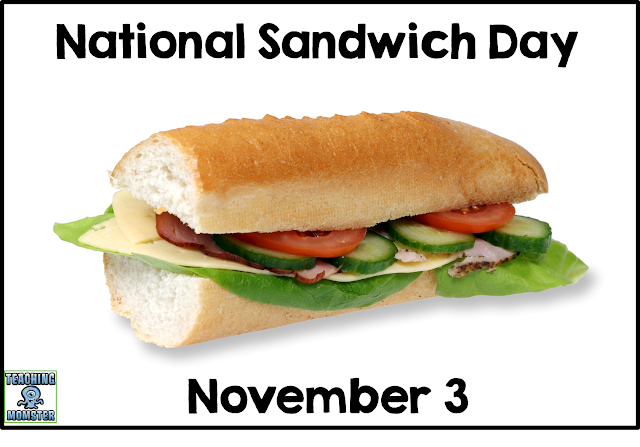 To commemorate the birth of the world's first sandwich-maker, November 3 is now National Sandwich Day. What's the most popular sandwich in America? Why, the hamburger, of course! Chicken sandwiches are a close second. If you haven't seen the many commercials from Subway here is what they are doing. Subway is giving a free foot long sub for everyone you buy today and encouraging you to give away the free one. The commercials have the person giving the sub away to a stranger. For me the Bon Fresco Sandwich Bakery on Oakland Mills Road has the best sandwiches in Columbia. Here is a link to their Facebook page. Today makes me miss the old Roy's Place II that used to be on Snowden River Parkway where the 3 Guys is today.